Today's theme ... yellow. This gold finch has been hanging out around my house for a week. I'm thinking the birds will be harder to see once the leaves come out. I like the pattern and color of the branches, too. Just a touch of yellow to brighten this little fellow. Great shot. 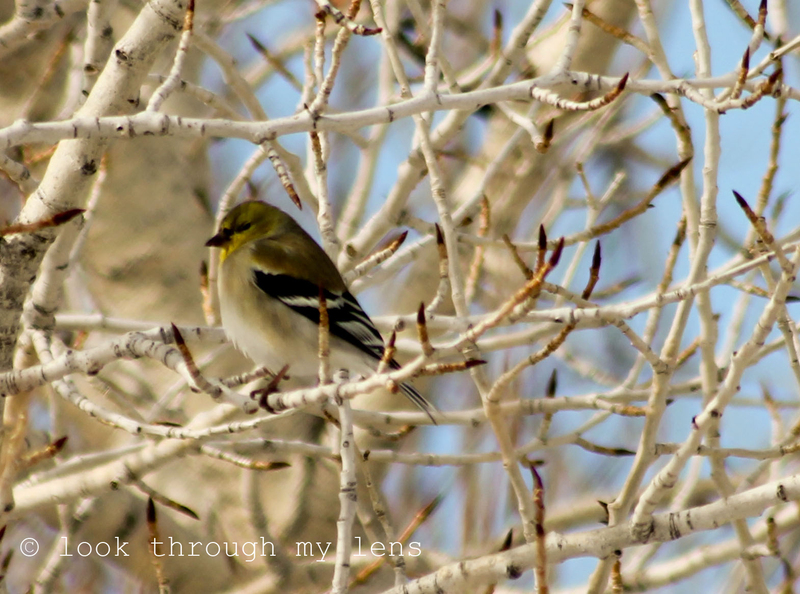 Now that you've got the perfect photo he'll be on his way...love the maze of branches he's sitting in. What makes a Finch Flinch - I tawet I taw a Puddy Tat! That little finch is a beauty! I love this...postcard perfect! a great sharp bird in the mix of branches, very nice!